Aitrayee Sarkar shares her views on reading a Bengali travelogue on Africa by Chayanika Chakraborty. Lets peep into a world lesser known to the rest of the world. It’s a story of a regular Bengali girl visiting his expatriate husband for the first time crossing thousands of miles. Finding nothing impressive about it! Then you are wrong. If the girl is traveling to the land of wild nature, Africa, then the story is expected to take a different turn all together. 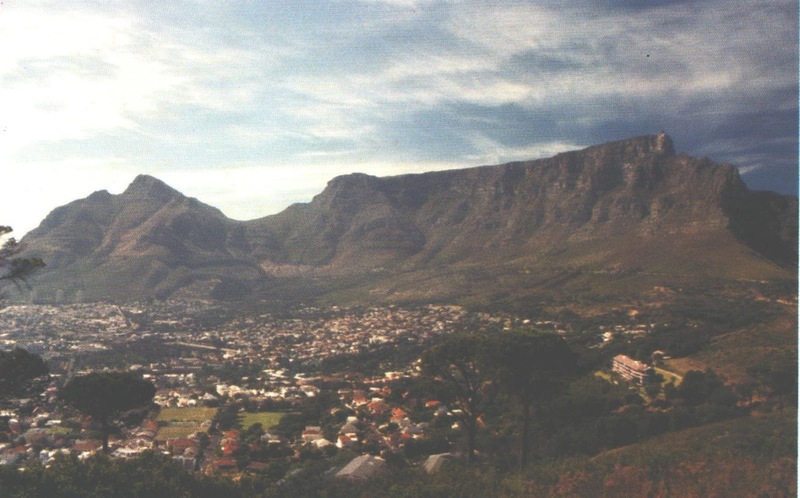 Chayanika Chakraborty’s Dakshin Africar Journal (the journal of South Africa) is all about nervous and narrow escapes from the African beasts and falling in love with the second largest continent of the world simultaneously. Chakraborty’s travelogue covers mainly her experiences of spending years in South Africa and visiting adjacent countries like Zimbabwe and Zambia etc. The book contains detail description of the people, animals and their natural habitats of Africa. The way Chakraborty has described every single detail of her visit to different places there, any lame man can aspire to go to those areas with the directions she actually shared with her readers. The best part of the book is that the writer has not tried to replicate formal style of travelogue writing. She rather chose a pure narrative style to communicate. Hence, the book does not burden the readers with extensive facts, figures and descriptions. It gives you a comprehensive idea about the life and living in Africa instead of a monotonous description. 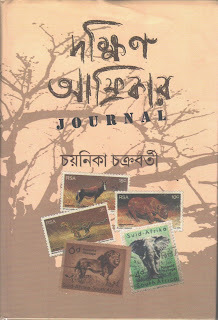 Besides, talking about the African wild life and adventures Chakraborty with a calculated sensitivity introduces the readers with the socio-economic problems of the ‘Independent’ aboriginals of the continent. Not only that the book also talks about the daily life of the Indians, especially Bengalis, living in Africa. The book consists of numerous photographs that would surely intensify your interest about the most unknown sights and sounds of the continent. None of those photographs are amateurish. In fact, they can give tough competition to many professional photographers. Chakraborty has dedicated a number of chapters to describe the wrath of mother nature by sharing her experiences of encountering desert storms and floods in Africa. After reading the book survival seems to be the most miraculous word in the world! We hope that someday Chakraborty would again visit her world of dreams and return with similar jewels for her readers. 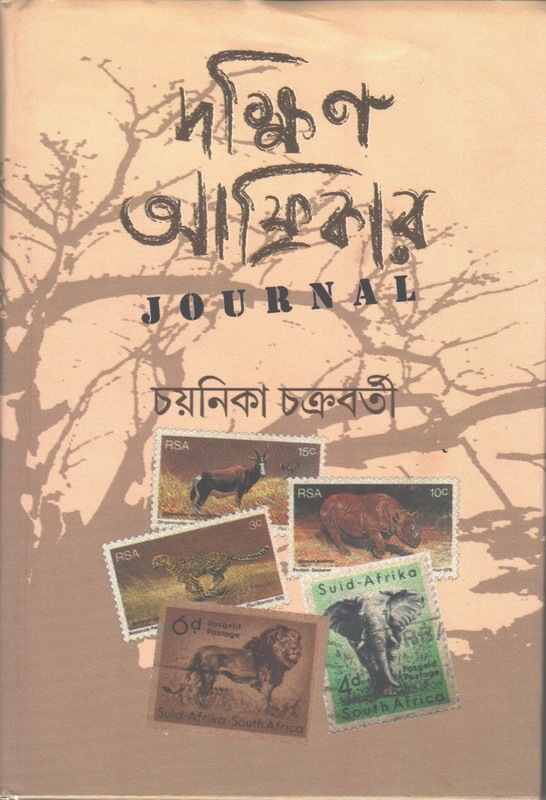 Overall Dakshin Africar Journal is an excellent reading experience. Chakraborty in her first attempt has created a feel-good atmosphere for her readers. The book has all the possibilities of becoming a popular travelogue. But more attention should be given to editing. Readers would be eager to listen to Chakraborty’s next encounter with the nature. The expectations are mounting high and the writer would have to deliver the goods as soon as possible. At the end let’s raise a toast to the nature; to Africa.